Newcombe remembered those comments during a 2009 interview with the New York Post’s Peter Vecsey. “Imagine, here is Martin getting beaten with billy clubs, bitten by dogs and thrown in jail, and he says we made his job easier,” Newcombe told Vecsey. 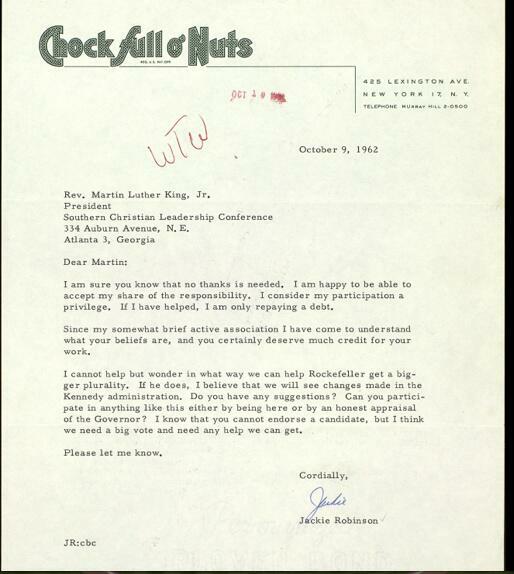 Also, Jackie Robinson wrote MLK a personal letter, here it is. January 20th, 2014 Leave a comment	Baseball History	David S.